Sleep is critical to our well-being — but many people still ignore its importance, or continue to be misinformed. While mounds of research show that sleep deprivation increases our risk for a staggering number of problems — depression, anxiety, dementia, high blood pressure, diabetes, stroke, dementia, cardiovascular disease, early mortality, and more — misconceptions about sleep still pollute the internet. Researchers at New York University’s Langone Health School of Medicine scoured 8,000 websites and found 20 commonly-held false assumptions about sleep that are particularly harmful. The following are the most worrisome, according to Rebecca Robbins, Ph.D., lead author of the study and a postdoctoral research fellow in the Department of Population Health at NYU Langone Health, who published her findings in Sleep Health: 1. We think sleeping fewer than seven hours a night is just fine (not true! ); 2. 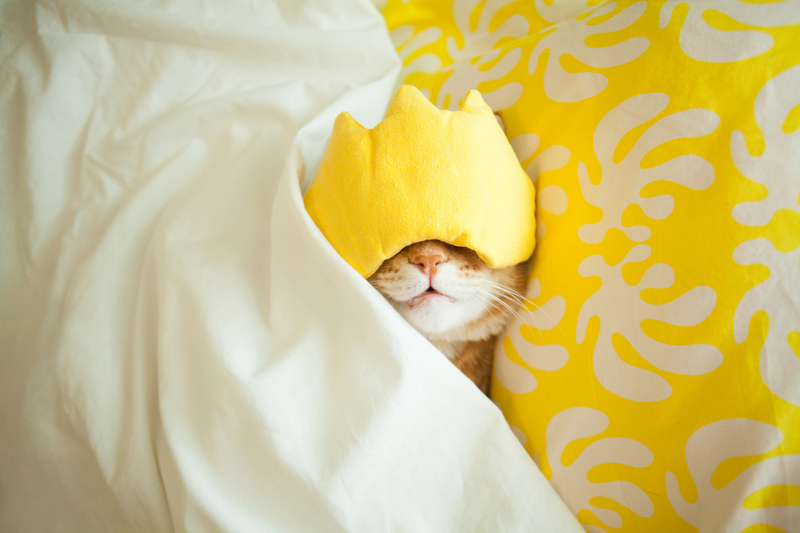 We believe that it’s good to stay in bed when we can’t fall asleep (also not true! ); 3. We think snoring is annoying, but harmless (again, not true!). Robbins wants to address these myths in order to help improve the health and longevity of the 45 percent of people suffering from sleep deprivation across the globe. “If we allow these myths to go uncorrected, then our global population is limited in its ability to achieve good sleep,” Robbins tells Thrive. The rewards of tackling this epidemic extend far beyond the individual, as our Sleep Editor-at-Large Shelly Ibach, the CEO of Sleep Number, has noted. “If you believe in what the research tells us about how sleep changes us, you have to believe in the power of sleep to move our society forward. Through sleep, we can create a world that’s kinder, more compassionate, and more connected,” she writes. With that larger purpose in mind, Robbins, along with her co-author Girardin Jean-Louis, Ph.D., a professor in the Department of Population Health at NYU Langone Health, explain why we need to topple these top three sleep myths ASAP, and fill us in on the truth. Although a third of us sleep less than seven hours a night, according to the Centers for Disease Control and Prevention, we need between seven and 10 hours, depending on our age. “Many people believe that there are some individuals who need only five hours, but the evidence shows unequivocally that sleeping at least seven hours is vital for optimal health,” Robbins says. Consistently logging five hours or less ups the chances of cardiovascular disease and early mortality, she emphasizes. There’s a sensible logic in the decision to toss and turn until you finally get to sleep. But, as counterintuitive as it may seem, getting out of bed is key if you can’t fall asleep. “Lying in bed without sleeping is like standing on a treadmill and not moving,” Robbins jokes. She strongly suggests leaving the bed so that you don’t inadvertently create a hazardous association in your mind between insomnia and your bed. “Keep the lights low, do something non-stimulating — like reading a boring book — and return to bed when you’re tired again,” she says. While snoring is common, it’s not always a benign annoyance. “When it’s persistent and when there are repeated pauses in breath, you could be suffering from sleep apnea, a condition associated with higher body mass index,” Robbins says. Sleep apnea must be treated to reduce your risk for other adverse health outcomes, including heart attacks, atrial fibrillation, asthma, high blood pressure and other disorders, she notes. Her co-author, Girardin Jean-Louis, adds that sleep apnea is under-recognized and rarely reported during routine physical exams. “The majority of snorers receive a diagnosis of sleep apnea only once they undergo a sleep evaluation,” he points out. If you know you’re a chronic snorer, it’s worth taking that symptom seriously and doing the same.